Planning your vacation is both exciting and daunting. One of the trickiest parts is figuring out your budget! Before I was a travel designer, I never sat down with a total number in mind when planning my own trips. I looked at the flights and the hotels, decided what I thought seemed reasonable and booked it. I rarely added up the total, and truthfully didn’t really know how much I ended up spending after I added in extras like airport transfers, tours, meals and activities. Now I do! I add up each component and see how much I’ve spent! (I’m often surprised how much everything costs.) And I definitely do this when planning trips for my amazing clients. One of the most important aspects of my job is being a good steward of my client’s money and helping them budget appropriately for their dream vacation! There are so many moving pieces when it comes to planning a vacation and most of these factors do affect your budget. Listed below are some of the most important factors to consider when planning your trip. 1) Time of Year: High season in your vacation destination depends largely on the weather. However, there are certain times of the year that are always expensive: the Holidays – Thanksgiving to New Years and Summer Vacation – June to August. Also, be careful that you aren’t traveling during Spring Break unless that is your only option. 2) Planning Timeline: Are you planning your trip last minute? Be prepared to pay more! I recommend planning at least six months in advance. That gives you plenty of time to plan and shouldn’t limit hotel availability. 3) Destination: Of course, this plays a huge role in your budget. Are you headed to a popular summer destination? Be prepared to pay a little more! Is your destination known for being expensive? Trust me, it’s unlikely that your experience will be any different. Are you traveling during your destination’s peak season? Be prepared for a spike in hotel and flight rates. Is your local airport a major hub? Are you flying in/out of the same city? Multi-stop airline tickets tend to be more expensive than round trip flights. Are there a lot of flights to your destination? The fewer flights headed to your destination, the more expensive your airline tickets will likely be. Do you have very little flexibility in your departure date or time? The more restricted your schedule is, the harder it can be to find a cheap flight. 5) Your Expectations: Be honest with yourself! 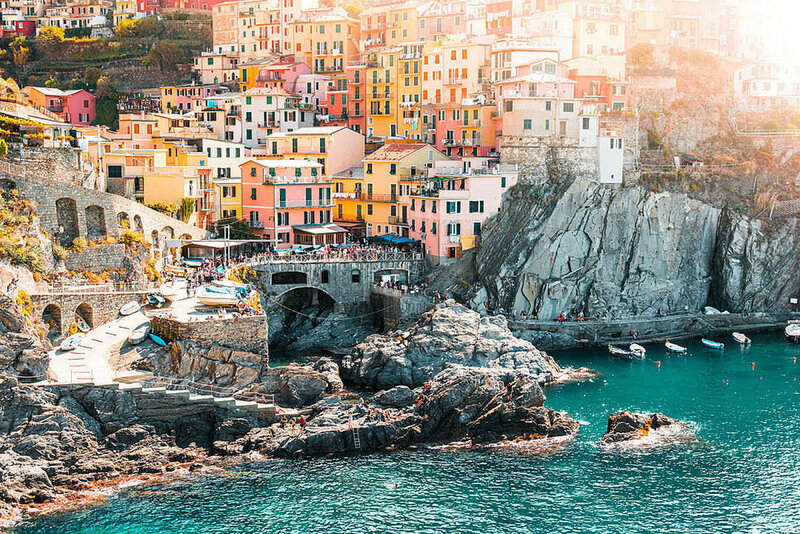 Are you planning a once in a lifetime splurge trip? Are you hoping for the best hotels and expensive dinners at Michelin Star restaurants? The more honest you are with yourself and/or your travel consultant about your expectations for the trip, the easier it will be to plan the trip you’ve been dreaming of. Also, be realistic. If you’re dreaming of a luxe hotel but can only afford a hostel, comes to terms with reality now! It’s much better than being disappointed while you’re traveling. If you don’t know how much your dream trip costs, ask a travel professional or spend some time on Google. Many people have walked in your shoes and already answered these questions. 6) Extras: Don’t forget to budget for all the fun extras! You’ll need to leave space in your budget for meals, tours, museum entrance fees, taxis and souvenirs. Think about whether you want guided tours. Are you willing to tour with a group or would you prefer a more expensive private tour? Do you love to shop? Do you want someone waiting for you at the airport with your name on a sign or would you rather take the metro with the locals? Below you’ll find my recommended budget by destination. These are general guidelines. As I mentioned above, there are so many factors that affect your budget! Ready to being planning your next amazing adventure, contact Mint Travel here.